Well-Heeled Wednesday: Newton Running Shoes | Oh, hello thirty. Hi MUST reply, I am the same I was a runner, before serious knee issues prevented me from running, as well as 2 children. I found NEWTONS at a Layne Beachley training session with Nikki Fogden-Moore who LOVES NEWTONS. 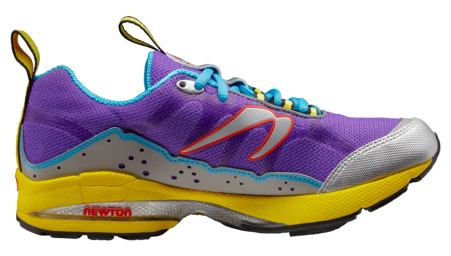 I LOVE the colours that Nikki had on so I enquired and she set me up with my FIRST Newtons. I say FIRST because there will be many more to come. The workout Barbie sneakers have got me RUNNING can you believe, I am training and can now start a slow run, other shoes I could never do that in. As soon as I put the Newtons on I went for a walk which turned into a run, the are the BEST fitness shoe I have ever had. My trainer comments on them, other people comment on them. If I have to do ALOT of walking I wear my NEWTONS..